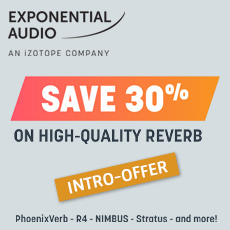 Just as the stereo version of PhoenixVerb has cemented its place in the workflow of music producers everywhere, PhoenixVerb Surround has earned the same indispensability in post production workstations the world over. Multichannel support through 7.1 surround makes PhoenixVerb Surround the ideal post production tool for introducing natural, authentic reflections to bring depth and realism during ADR work or foley mixing. Design a reverb tone from the ground up, or use a room, plate, hall, or chamber preset to produce clean, realistic reflections instantly. With its near-limitless tweaking potential, comprehensive preset library, and elegant user interface, PhoenixVerb is the perfect combination of surgical utility and visual simplicity. Clear, natural reverb algorithm - PhoenixVerb’s neutral spatial reflections fit any music production. Create a reflective hall for your piano, a large, resonant chamber for your vocals, a tasteful plate for your percussion. Powerful and precise control - A sophisticated and powerful user interface perfectly complements the high-quality reverb algorithm itself. With just the right balance of control and intuitiveness, you’ll have no trouble dialing in the exact tone your tracks demand. Extensive sonic versatility - With over 900 spaces to choose from—including room, plate, hall, chamber, and more—you’ll never find yourself at a loss for articulate spatial effects, no matter how tight the deadline for your project may be.